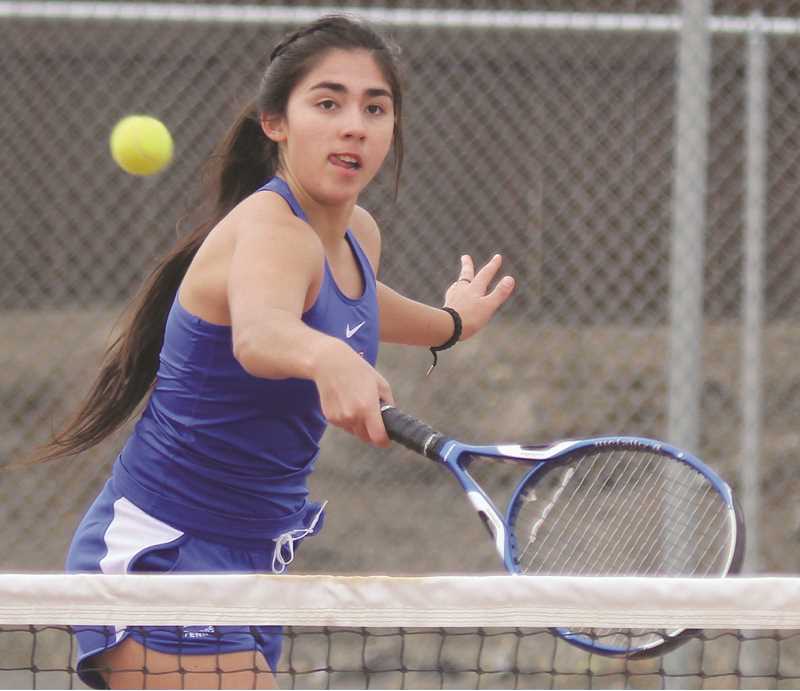 The Madras girls tennis team was very busy this week, playing against Redmond, Ridgeview and Crook County. Most recently, the team traveled to Crook County on Friday and barely lost 4-3 to the Cowgirls. 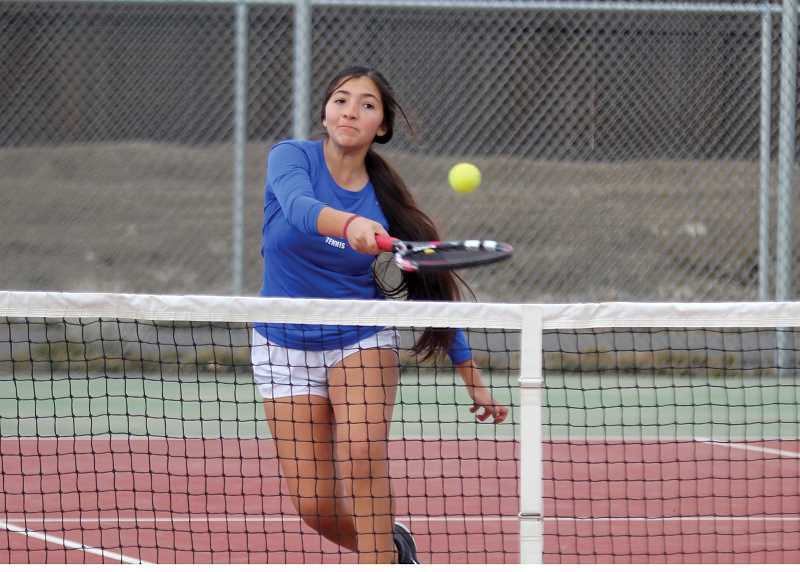 All of the MHS singles competitors were bested by Crook County, while three of the doubles teams were able to earn victories. The Buffs' doubles team of Erika and Jessica Olivera were able to beat Jansy Clark and Marion Ceja, 6-1, 6-2. Kelsey Olivera and Kylie Borchert, of MHS, beat Maria Knight and Jillian Gish, 6-0, 6-4. White Buffalos' tennis players Natalie Ramos and Lorena Macias were able to best Meredith Cooper and Gracie Slawter 6-4, 3-2. Their second set was cut short due to the rain. The White Buffalos traveled to Ridgeview High School on Thursday and were beaten by the Ravens 6-2. Erika Olivera played singles for the Buffs and was able to easily beat Kylee Rost 6-0, 6-0. The doubles team of Macias and Ramos beat Carla Altamiraro and Maddie Bahlman 6-1, 6-3, giving the White Buffalos their second and last win of the day. 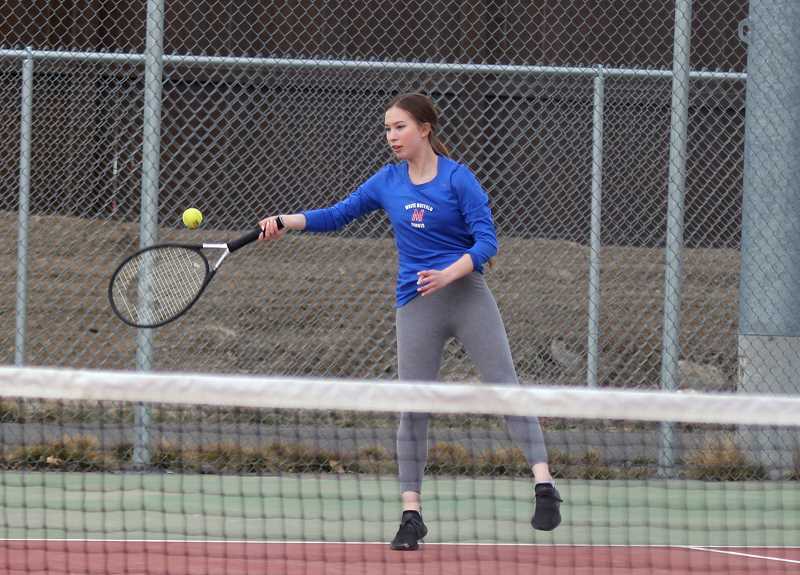 Central Oregon's weather cleared up a bit last week, allowing the boys and girls tennis team to play their first tennis matches of the season in Redmond on March 19. The girls tennis team lost to 5A Redmond 7-1. Only the doubles team of Lorena Macias and Natalie Ramos was able to win their doubles match. No. 1 Madras singles player Katherinne Parodi lost 6-1, 6-0 to Ingrid Harris. Esme Garcia, of Madras, lost to Jessalyn Loza, 6-0, 6-0, and Buffalo athlete Alexa La Pier lost to Maria Gradilla 6-2, 6-1. Madras' Naomi De Andrea lost 6-0, 6-0, to Daisy Altamirano, concluding all the singles matches. The No. 1 doubles team of Destinee Reynoso and Elaina Nambo lost 6-2, 6-3, to Jhona Nunez and Melody Acevedo. Kelsey Olivera and Kylie Borchert barely lost their match for the Buffalos. They lost the first set 6-4, but came out strong the next set, winning 6-3. The match went into a tiebreaker and Taylor Cordell and Dagne Harris beat Olivera and Borchert 10-7 to win the match. Monissa Fracasso and Azucena Ruiz, of Madras, lost to Sophia English and Karol Gomes 6-2, 6-6 (7-0). Macias and Ramos fought hard for their victory over Amy Lopez and Elizabeth Viromontes. They lost the first set 7-5, but won the second set 6-3, sending the match into a tiebreaker. Macias and Ramos won the tiebreaker 10-2. The girls face Stayton at home on April 2, at 4 p.m. and travel to Woodburn to face to Bulldogs on April 4 at 4 p.m.